إذا كنت تبحث عن فندق بموقع جيد في بحيرة تيكابو، فقد وجدت ضالتك في مانترا لايك تيكابو أبارتمنت . يمكن من هنا للضيوف الاستمتاع بسهولة الوصول إلى كل ما تقدمه هذه المدينة النابضة بالحياة. كما يمكن الوصول بسهولة إلى ‪Mackenzie Sheep Dog Statue‬, Church of the Good Shepherd, تيكابو هيلوكبتر. إن الخدمات الممتازة وحسن الضيافة العالي في مانترا لايك تيكابو أبارتمنت تجعل إقامتك تجربة لا تنسى. يمكن لضيوف الفندق الاستمتاع بالميزات التالية على أرض الفندق: مرافق مخصصة لذوي الاحتياجات الخاصة, تسجيل وصول/خروج سريع, صف السيارات, غرفة عائلية, مرافق للشواء . في مانترا لايك تيكابو أبارتمنت غرف نوم يزيد عددها عن 17 صممت بذوق وعناية لتوفر لك كل وسائل الراحة . بعضها يحتوي أضاً على تلفزيون بشاشة مسطحة, اتصال لاسلكي بالإنترنت, غرف لغير المدخنين, مكيف هواء, تدفئة. يقدم الفندق مجموعة رائعة من الخدمات كمثل حوض استحمام ساخن, حمام سباحة خارجي, حديقة، لجعل إقامتك تجربة لا تنسى. إن مانترا لايك تيكابو أبارتمنت هو خيارك لخدمة الفنادق الراقية في بحيرة تيكابو. مكتب الإستقبال مفتوح من 09.00 صباحاً إلى 05.30 مساءً. الضيوف الذين سيصلون خارج هذا الوقت يطلب منهم التواصل مع العقار مباشرة قبل موعد الوصول لترتيب هذا الأمر. We stayed only for one night, but the house is clean and cosy, a little on the small side, but was fine. Bedrooms are all upstairs. However, there is a toilet on the lower which is a plus for family. We made use of the garage too, but the garage is tiny, just had enough space for our MPV. Accommodation cleanliness and the trust placed on guests. The 2-storey apartment was spacious, clean and beautiful. The place is awesome for group, as me with old parents and also a toddler. as it is very big, nice, good wifi speed, very spacious living room, kitchen and upstairs toilet and furnishings of a high standard. the staff also very helpful. the place is quiet and lonely. It was worth the money since all of the facilities was great!! The location was easy to find and very near by the lake! We booked the whole apartment option and the house was fantastic. The cookery and beddings were all good. But I still have to point out a few things to improve: 1. At this price range, complimentary wifi with 2 GB bandwidth limit seems a bit penny-pinching. 2. The under-stove oven worked fine but as we preheated it the foul odor from previous cooking fumed the whole living room. I think they should ask the clients while checking out whether they use the oven and arrange cleaning accordingly. 3. The dish washer was absolutely helpful and yet the complimentary cleaner fluid/powder only came with 2 use per stay I suppose. If frequent cooking is to be expected, be careful with the dishes. 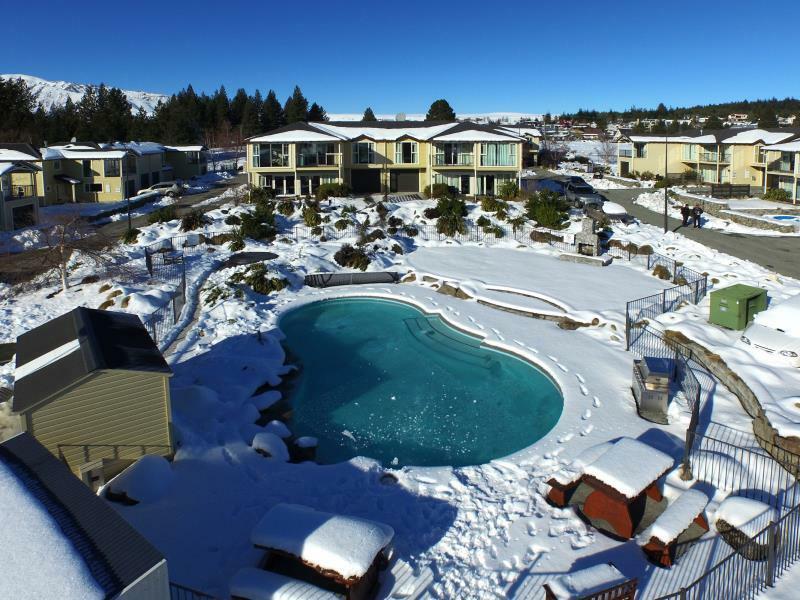 Despite several things stated above, we all quite enjoyed the stay at the Mantra Lake Tekapo Hotel. I was able to enjoy the starry night with a glass of wine in the backyard, which is a fantastic experience you should definitely try. Cheers! We had a 2 bedroom apartment for 4 people. This place is beautiful! It is one if the best place that we stayed out of the 2 weeks in New Zealand. I would love to stay for longer if it was possible. Haha... Toilets downstairs and upstairs is a bonus. The bathroom is so spacious just like the rooms and the living area. The kitchen had everything to cook up a good meal. Beds are very comfortable too. The washing machine and the dryer was also very useful. We went to Tekapo at the end of Winter. The house is warm and cozy. All facilities are in good condition. Very near to the lake and church, we spent both nights there for stargazing. Highly recommended. Location is away from restaurants so rather a long walk. Very spacious living room, kitchen and upstairs toilet. Very comfortable sofa which can fully recline. the garage remote control was not working when we were there. Didnt check out the swimming pool. The room is huge, with full equipments and very comfortable. They provide almost everything in the room. You can see lake Tekapo from the backyard. Within 5 minutes to restaurants, and staff is very helpful. We booked a two rooms apartment. Each apartment comes with three room as standard. The management actually locked the master room without any notice. This upset us a little bit as a group of us, four pax have to share a common bathroom. We felt they should have locked the other room instead for our convenience. There is a swimming pool in the center which obviously not available during the winter. You can find basically everything within the apartment, just like your home, includes washer, dryer, refrigerator, oven, baker, cooker and all basic cooking utensil. The heater seems a bit faulty and water temperature was inconsistent, an experience to have a cold shower in the winter. Luxurious furnishing, clean and comfortable, and heated floor for bathroom. We are a group of 2 families, one with young child and the other with 2 older kids. We were wowed by the luxurious furnishing and comfortable spaces in the 2 storey house styled apartment. It is so cosy that we decided to buy ingredients and cooked at the apartment for a cosy homey meal at the apartment. The beds are comfortable and the heated bathrooms are superb. We loved our stay here. We even spent time doing a bit of star gazing at the enclosed back yard even when it's really cold outside. A little downside is the dish washer that's not working but tats not an issue for us. 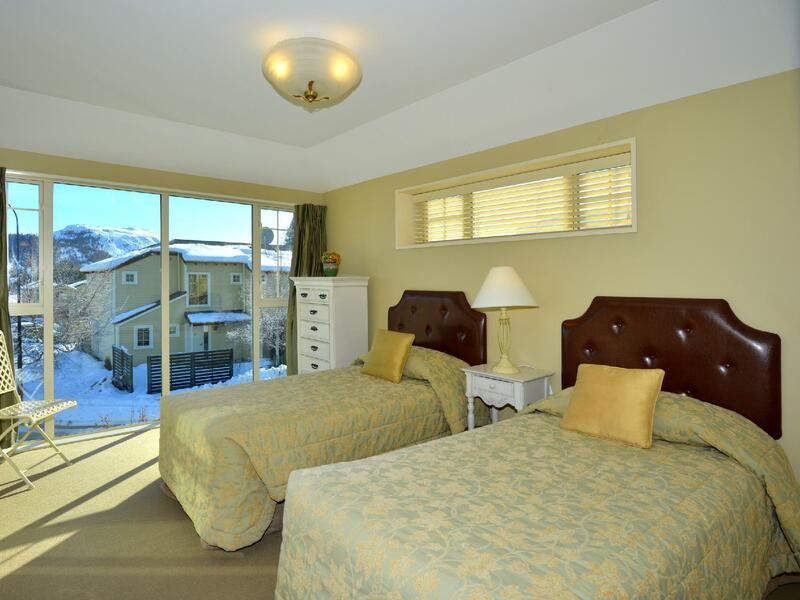 We will definitely choose this apartment again and recommend it to any others coming to Lake Tekapo for holiday. This is the best stay during my 10days family trip. I love the design of the house especially the kitchen. Bathroom is clean with shower and bath tub provided. We had a good stay here. A relax places for family. Location is not far from city center and local attraction probably about 15-20 minutes walk. The hotel is like a house/villa, we booked 3 bedroom one and got a 2-storey house. All bedroom is on 2nd floor while 1st is dining and living room, there is a balcony as well. The house is equipped with sufficient heating equipment that make it very warm during our stay on Winter month. Bedroom and bathroom is very clean. Very clean apartment. The apartment is well equipped. You can cook in the apartment. Very near to the dining area and four square supermarket where you can buy the groceries. The staff was very friendly and attentive. 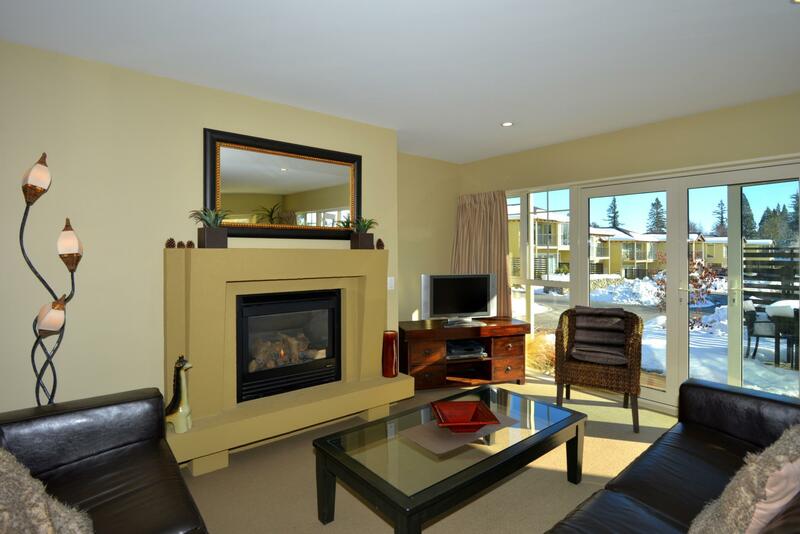 Great location and superb clean. We really enjoy the stay.